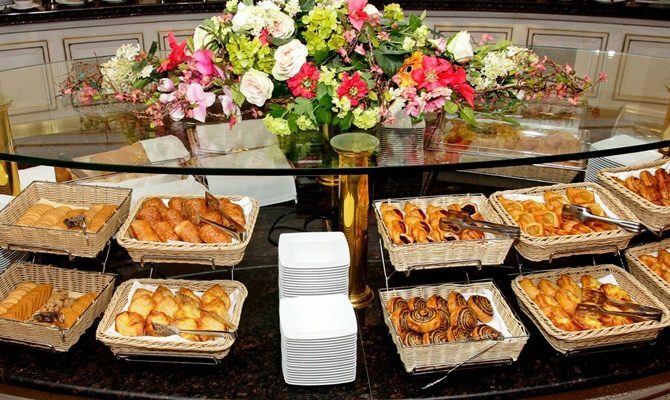 Classic buffet breakfasts are served 7 AM to 11 AM in the Suzdal Hall, accompanied by live harp. 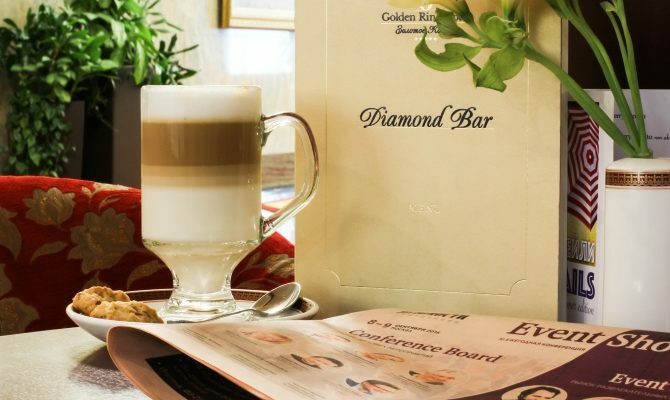 Cozy space right at the heart of the hotel, next to beautiful landmark fountain, with a 24/7 menu and drinks. 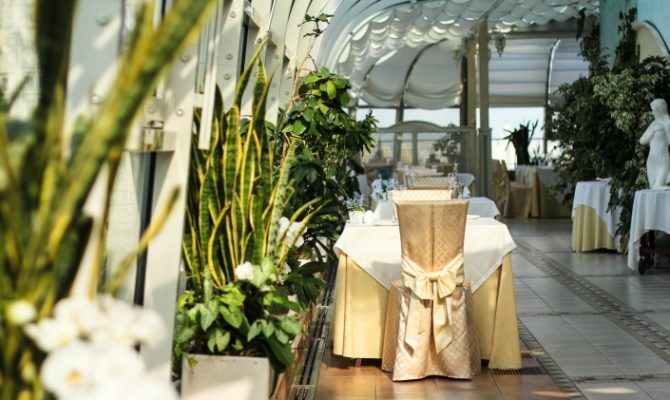 Green and airy terrace under the glass dome introduces modern Russian cuisine. 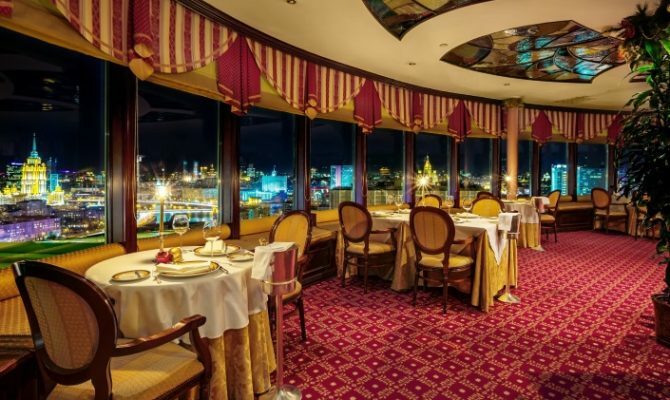 Panoramic 360-degree overview of Moscow landmarks paired with an exquisite dining experience.